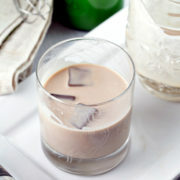 Perfectly customizable, this homemade Irish cream recipe is quick and tastes like the real deal! Perfect for sipping, adding to drinks, or boozy desserts. You know what that means — the St. Patrick’s Day mania is building up here in the United States, where millions of people who have zero ties whatsoever to Ireland don ridiculous green attire and drink until they vomit in the streets, all in the name of St. Paddy. I live in a neighborhood with a little pocket with a traditionally very high Irish population, so the shamrocks and Ireland flag decorations are out in full force. I love this about my neighborhood – I love the pride and the decorations and all of it. 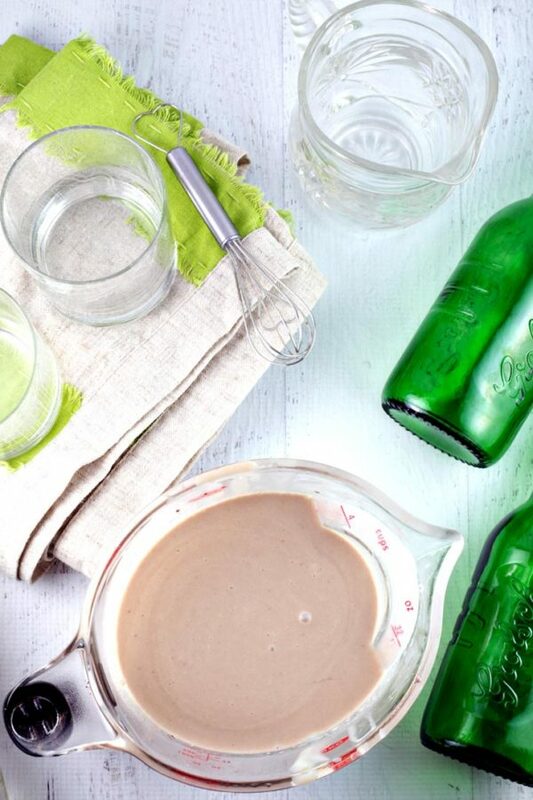 So this year I thought I’d jump on board the St. Patrick’s Day celebration and share a homemade Irish cream recipe, starring, of course, Jameson Irish Whiskey. I’m normally more of a bourbon girl than a whiskey girl, despite my heritage. I have zero Kentucky bourbon roots, but do get to claim that I am a wee bit O’Irish (1/8th, to be precise). But I will never turn down a good glass of Jameson, and turning whiskey into Irish cream is a-okay with me! 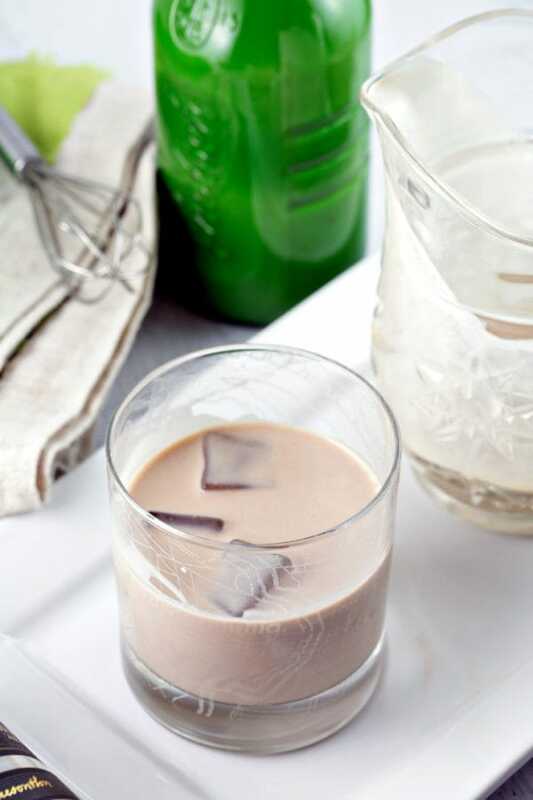 So why make homemade Irish cream instead of buying a bottle of Baileys? There are lots of reasons – it makes a perfect gift, it’s made with actual real ingredients and isn’t some strange “shelf stable for 24 months” cream containing magic, it’s ridiculously easy to make, and my personal favorite reason: it’s completely customizable. 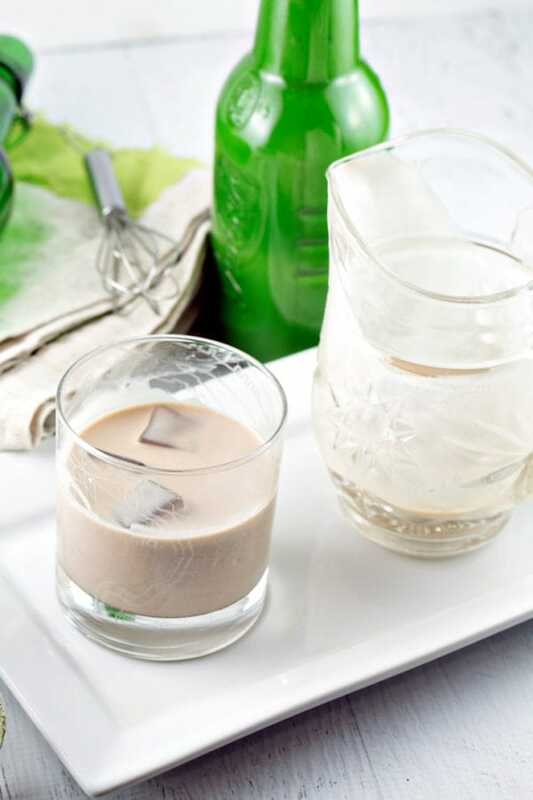 Do you find store-bought Baileys Irish Cream too sweet? Add more cream. Not sweet enough? Add more sweetened condensed milk. Too boozy? Use less whiskey (and no, I won’t shame you for this – not everyone likes strong drinks). Not boozy enough? I trust you can figure out how to remedy that one on your own. Plus: flavorings! There are lots of homemade Irish cream recipes out there, and almost all of them contain instant coffee granules. I’m intrigued by this, since Baileys doesn’t actually contain any coffee flavoring. But if you like it? Add it! (I suggest starting with 1 teaspoon.) Like almond? Add some almond extract. Mint? More chocolate? Customize to your heart’s content! Did I mention how easy it is to make? You can literally pour everything in a blender, puree for 30 seconds, and call it a day. I chose to make mine by hand, however, and it still takes under 5 minutes. The important key here is starting with a slurry – add just a little heavy cream to the cocoa powder. If you add all the cream at once, the cocoa powder doesn’t mix at all. It clumps up on top. Once you have your slurry, it’s literally as easy as adding the rest of the heavy cream, the sweetened condensed milk, the vanilla, and of course, don’t forget the whiskey! Give it a quick whisk and – that’s it. Done. 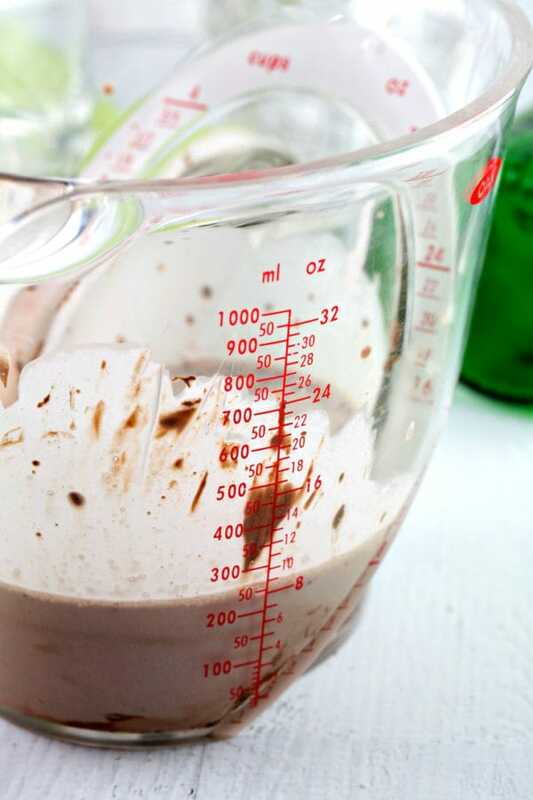 I even like to make mine right in a 4 cup measuring cup – no need to dirty any other glassware! 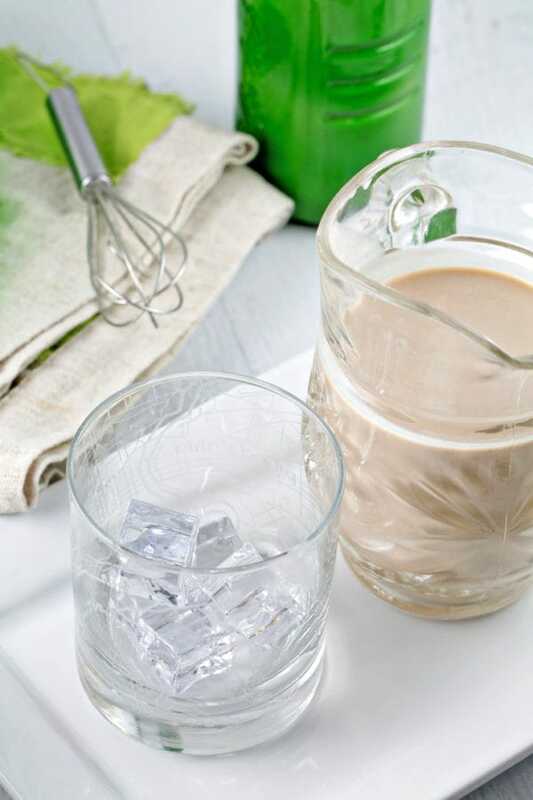 Homemade Irish cream, in under 5 minutes. Boom. 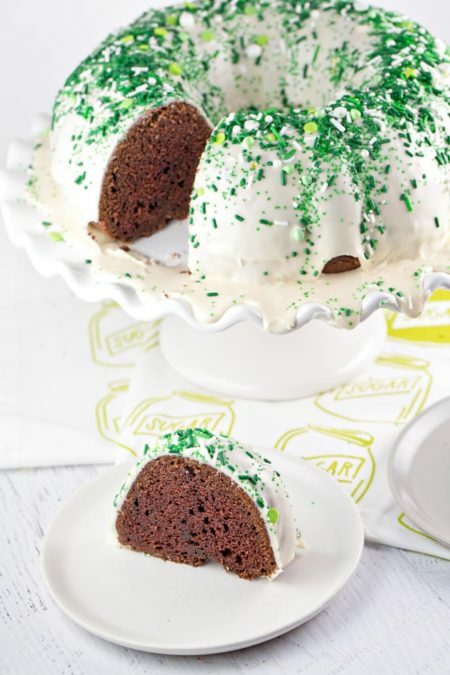 Make some this weekend, so you’re all ready for my next bundt cake, coming early next week. It might include some homemade Irish cream. Maybe. Possibly. Most definitely. 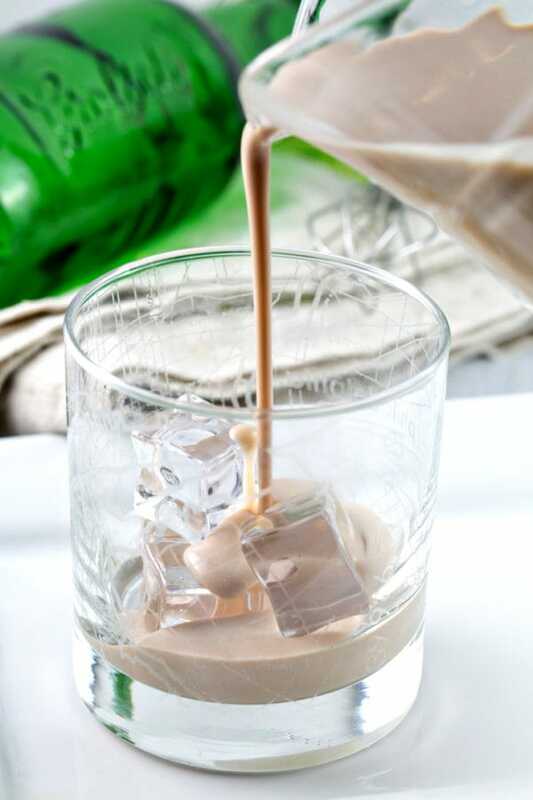 Love Irish Cream? 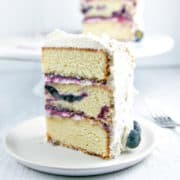 Don’t miss these desserts! 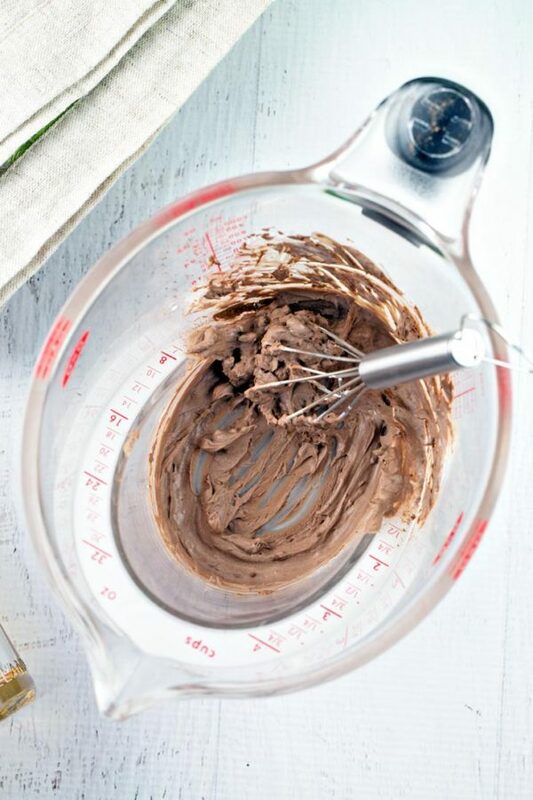 Whisk together the cocoa powder and two tablespoons of heavy cream in a 4-cup mixing bowl. Add cream, one tablespoon at a time, until the paste is smooth and no dry clumps remain. Whisk in the rest of the heavy cream, followed by the condensed milk, vanilla, whiskey, and any additional flavorings. Alternatively, combine all ingredients in a blender and process for 30 seconds. Homemade Irish cream will keep in the refrigerator for up to 2 months. 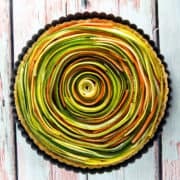 I made this when it was published a few months ago on Smitten Kitchen. Divine! 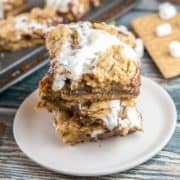 Is this recipe adapted from Deb’s? I’ve never really been into celebrating the whole St. Patrick’s Day thing…not sure why..just never have. But making your own Irish Cream is a great idea. I’m sure this would be Way better than the store bought version and I love how you can customize to suit your tastes. When I need Irish cream for baking, I simply go to the store and buy one. Never even thought you can make it at home – yeah, I was born yesterday! 🙂 Anyway, now I know where to look if I fancy making it at home! I’ve never had Irish Cream from scratch. Looks and sounds amazing! Perfect for the weekend. Can’t wait to try it out! I’ve never been one to go crazy celebrating St Patrick’s Day (except maybe in college! 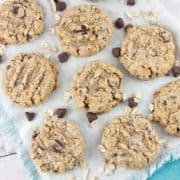 ), and I’m mostly dairy-free, but this recipe sounds delicious! I may try it for one of my dairy splurges and have it with coffee. Yum! I remember seeing Irish cream when I was growing up. I love how you can make your own favorite store bought drink from scratch! GIRL, this Irish girl is loving you right now! But I wish I would have had this recipe sooner. 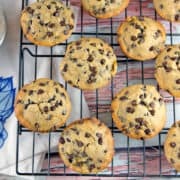 I just posted a recipe for Baileys mint chocolate chip dip and would have much rather preferred to make my own Irish cream. Who knew it was so easy and adaptable! Happy St. Patrick’s day from one Irish girl to another (1/8th) still counts! I spied your Baileys mint chocolate chip dip and have been drooling over it ever since! 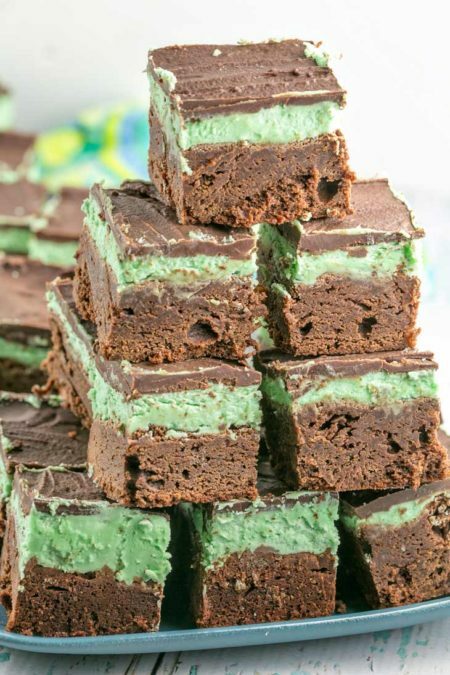 I love mint everything – and coincidentally, I happen to have quite a lot of this homemade Irish cream left over, so thank you for giving me a way to use it up!! I love me some Irish Cream – at any time of year, but especially this! This would make terrific gifts for friends, or… not. Keep it for yourself! I am with you, if we can make something from scratch why bother to buy it in store. Thanks for showing me how to make Irish cream. I need to try it. . This is great drink for the St. Patty party. 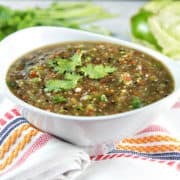 I am going to make this and pour it over everything! My husband loves Irish Cream in his coffee! Recipe Saved! Oh I used to love Bailey’s Irish Cream until I happened to look at the ingredient list….that love died soon thereafter! I need to try this homemade version, it sounds just delicious! 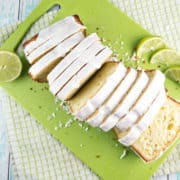 I agree that when something like this is so simple to make at home, why not make it fresh instead of buying it from the stores. 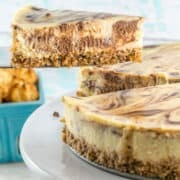 This is a great recipe to make for the celebrations! Gosh, this looks so good Julie and under 5 mins!!! 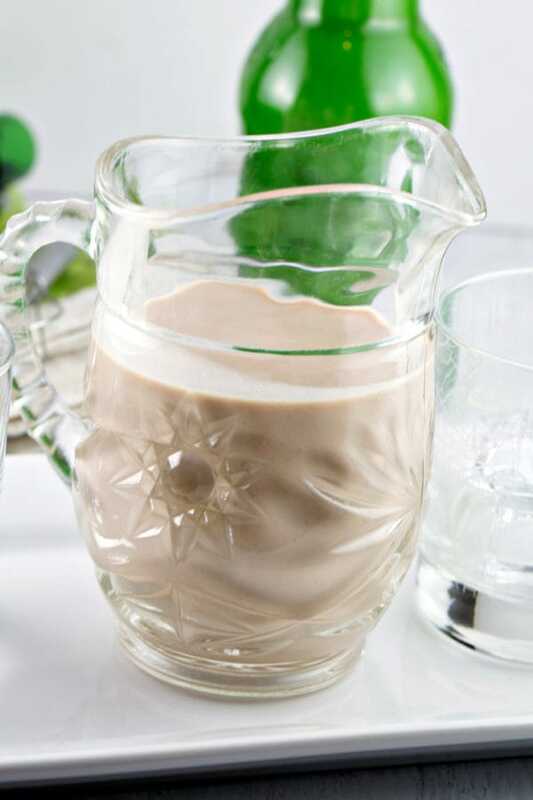 I love irish cream and it’s like my fav beverage in parties but I’ve never tried making one until I saw this. I’m surely gonna try this soon.